This definitive guide to choosing SEO web hosting services covers the important factors you should consider, while maintaining a sense of proportion in what you should expect from a commercial hosting service. SEO web hosting services refers to accounts that offer a number of different IP addresses. Search engines are believed to give a higher ranking to web pages containing incoming links from other web pages located on a variety of unique Class-C IP addresses. You can use this to create links between your own domains without Google detecting this. For example, if you had 10 different website and used regular shared web hosting such as HostGator’s ‘Baby’ account, all 10 sites would share the same IP address. Let’s say you decide to monetize one domain, and design the other 9 as expert information sites in the same niche. You then link all 9 to the tenth commercial site. Google would spot that all 9 links were coming from the same IP address as the tenth, and would regard this linking structure as suspicious and contrived. The two Penguin algorithm updates are likely to downgrade such links and even fail to list the page in the search engine results for relevant searches. SEO web hosting enables you to assign each domain to a different IP address, so that you can avoid this. This type of hosting is usually charged according to the type of hosting service and number of IP addresses you want. Thus one service offers shared web hosting at a monthly price of $1.50 per IP with a minimum of 5 IP addresses – so prices begin at $7.50/month. If you want 20 IP addresses you pay $30/month. Here is how to choose the web hosting service most suitable for your specific needs. Always keep in mind that your hosting service is the foundation upon which your website or blog rests. You share the servers and IP addresses with other users. The server is the external processing and storage system that holds your files and common programs shared by others using that hosting service. All the files you use on your website are stored on the servers, which may be shared by hundreds to thousands of others. It is economical but limited in resources, but you have your own IP addresses. You pay for each address. You pay for your own space on each server used. You are guaranteed your own space and the IP address is exclusively yours. Although a shared service can advertise specified disk space and bandwidth, if everybody wants to use that space at the same time, then you may experience downtime. Not so with VPS, which is an option for those with larger blogs and websites. Prices, bandwidth and disk storage increase with number of IP addresses. You get a server all to yourself. Larger companies and corporations will use dedicated servers, and massive professional blogs might also feel the need. A dedicated server with multiple IP addresses is expensive and is generally not for the amateur blogger or hobby sites. You start at around $200/month for a server with 15 IP addresses. This includes IP addresses located around the USA and Europe. Using multi-location IPs, not only will your linking be detected as coming from various countries, but your main site IP address can more accurately reflect your own geographical location. Google will then reward you for your server/IP being detected as closer to your own location. You can have your linking IPs spread across multiple data centers throughout Europe and the USA. It is important to understand why your IP addresses must be ‘C-Class’. An IP address comprises four sets of numbers, A-B-C-D. When you buy hosting from regular servers, the IPs may vary only in the D-Class. Google can spot this, and knows that the linking IP addresses are fundamentally from the same server – i.e. likely your own sites. Not so when they vary in both C- and D-Classes. SEO hosting offers IP addresses that vary in the C-Class as well as the D-Class. Once have decided on the type of SEO hosting you require, you should then draw up a list of potential web hosts. Let’s assume you are seeking the most commonly used service: shared hosting. You should now go online and search for web hosts or ‘SEO web hosting services’. You will find several services that should meet your needs, including SEOHosting.com, ASEOHosting.com and SEOWebhosting.net – keep in mind that the step after this involves researching the relative performance of these, so don’t make your list too large. Make your selections from those that you believe you can afford. There is no point in including expensive and unaffordable web hosting options in your list. Blogs that discuss web hosting services – the comments can be very illuminating! Forums, where members honestly state their experiences with various web hosts. The Warrior Forum is an excellent platform for informed, intelligent comment. Look for comments, tweets and posts regarding each of the hosts on your list. Here is how to use each of these options to your advantage, and find the most appropriate web host for your blog from all the options in your list. Make sure you compare like with like. There is little point in comparing a shared server price with that of another company’s VPS service for example. First, make up your mind whether you need VPS or a dedicated server, or whether a shared hosting service would be enough. There is a very significant difference in prices between all these, and it’s not just all in the number of IP addresses you get. Compare the entire hosting service. 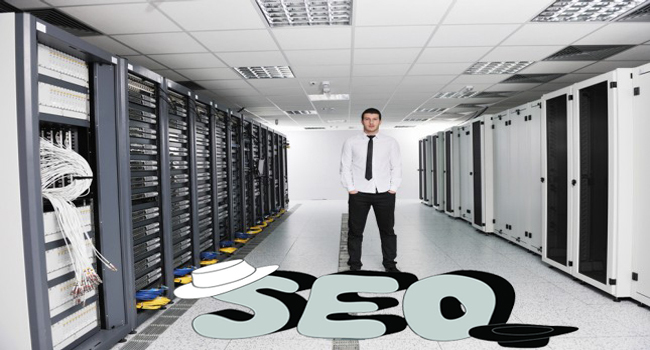 If you already have a normal web host, then check whether or not they also offer SEO hosting plans. If not, then you will have to switch unless you want to pay for two hosting services – your existing service plus the SEO web hosting. This seems pointless, so make sure that your new service meets all the criteria of your old – or as near as possible. Once you are happy with the basic service: the control panel if any, the support, the uptime and everything else involved in regular hosting, then compare the C-Class IP offers, including their geographical location. Geographical diversity is preferred to servers located on a single site, and might be worth paying extra for if you can afford it. Once you have settled on a short-list of services that meet your needs with regard to your general hosting requirements you should decide how many IP addresses you need. If you only need 5 to start with then compare the prices for 5 IPs. There’s no point in paying for addresses you won’t use. As you expand you can add more – some services charge as little as $1 for each IP. You should test the service you have chosen with your blog before switching web hosts. There are ways to do this without you having to shut down your blog while you do so. If you use Windows, the easiest way to achieve this is to modify the contents of your Windows ‘Hosts’ file to direct your computer to your test hosting service. Also, you can use SwitchHost Mozilla plugin to make changes in your Hosts file. Finally, if everything works during your test, it is time to take the leap and change your web host to an SEO web hosting service. If you have done your homework, followed the above advice and tested properly, then you should have no issues. To summarize, SEO web hosting enables you to use multiple IP addresses to link your information sites back to your money site. These can be regular websites or blogs, or any combination of these. Google perceives your links as coming from diverse remote locations rather than from your own websites. There are several good SEO web hosting services available, but you must take time to choose the one that is most suited to your needs. It is not only the price and number of IP addresses that are important, but also the performance of the service with respect to general web hosting.